The hot glass is “ironed” flat with a pear-wood frame and then formed into the desired shape. Roberto Niederer developed this technique in the 60s. 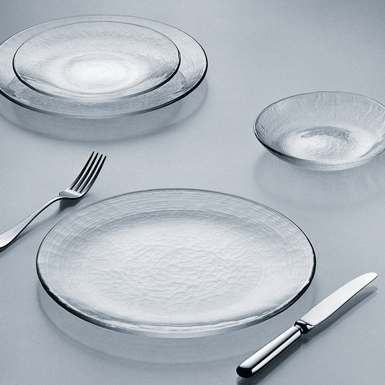 All dishes in the Glasi factory restaurant are served on these plates.